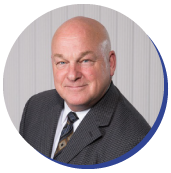 Peter was a career RCMP officer who after his retirement held a series of leadership positions in commercial aviation, telecommunications, critical infrastructure protection, and community non-profits. Peter previously co-founded two companies Visionary Digital Inc. and Enterprise Protection Associates Ltd. and, in 2014, completed a master’s degree in Disaster and Emergency Management. He possesses extensive knowledge and experience in leadership, administration, policy and program design and crisis management. Peter launched CryoLogistics in 2013 after being inspired by his father-in-law who had spent a full career in the transportation industry. 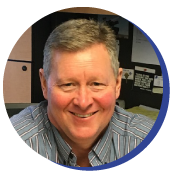 Patric brings over 20 years’ experience as Chief Technology Officer at Westport Innovations, where as a founding and leadership team member, he was responsible for the research, design and development of Westport’s clean fuel CNG and LNG engines. Patric is passionate about advancing promising environmental and energy efficient technologies to commercialization. His work has included investigating alternative advanced fuel technologies for heavy duty vehicles, performing a detailed global market evaluation for the deployment of a novel biofuel technology and developing local and global partnership in clean energy. Will is a mechanical engineer who has been a clean technology aficionado most of his life. He is an accomplished researcher and systems designer, team leader and project manager whose experience ranges from designing HVAC and transportation systems to high-tech training devices for Olympic athletes. Will was instrumental in developing the mechanical engineering technology program in the Applied Technology Department at Camosun College. 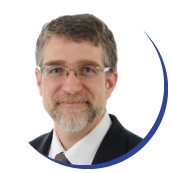 He has taught fluids dynamics, CAD, numerical analysis, controls systems, thermodynamics and heat transfer, and systems design and mentored post-secondary students for over two decades. Will has been leading CryoLogistics’ research efforts since early 2017. Kelly is a military veteran and a recognized expert in the food transport industry and built the first HACCP-compliant refrigerated trucking company in Western Canada. 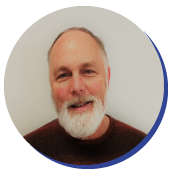 He founded ColdStar in 1999 to drive the success of the coastal food community by providing British Columbia’s Lower Mainland and Vancouver Island with the best refrigerated food distribution and 3PL refrigerated trucking service available. The company’s warehouse facilities, trucking fleet, and team are all specialized and food-safety certified. ColdStar was the first company in Canada to adopt class 8 tractors equipped with the state-of-the-art Cummins-Westport CNG engines. Eldad is a mechanical engineer with 12 years experience in mechanical design and project management with the focus on leading highly technical teams to deliver products and R&D deliverable on time, under budget and to spec. Eldad has successfully built and managed teams of +25 engineers and designers in fields such as Aerospace – Developing unmanned aerial vehicles (UAV or Drones) for the purpose of testing novel airframes and propulsion configurations; Security – Developing automated 3D scanning X-Ray machine for large venues; Green Technology – Solar towers and solar parabolic through power plants. 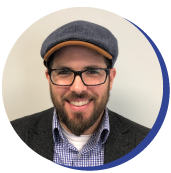 Graduating from a renowned University in Israel, Eldad is bringing the “Start-Up Nation” attitude into practice, driving target focused efforts infused with tight team communication style. Sharon is a CPA CGA since 2013. She holds a master’s degree in enterprise management from Shanxi University, China. She started her career at AllWest Insurance Service Ltd. from 2009 to 2018 and specialized in accounting systems, internal controls, budgeting and financial reporting. Prior to her immigration to Canada, she was an Associate Professor of Financial Management at Taiyuan University, China from 2004 to 2007. 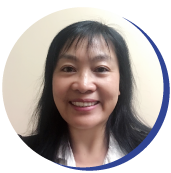 Sharon joined CryoLogistics in early 2018 as Financial Controller. The CryoLogistics team also consists of an administrative assistant and marketing specialist, a lead design engineer, one mechanical and one electrical (communications systems) engineer, one engineering technologist, and at any given moment up to three engineering co-op students. The team has the support of a number of consultants assisting with business development, project management, design for manufacturing, computational fluid dynamics modelling, transport logistics and market research.